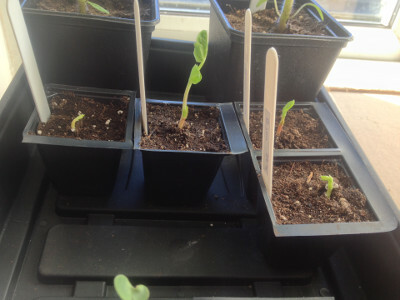 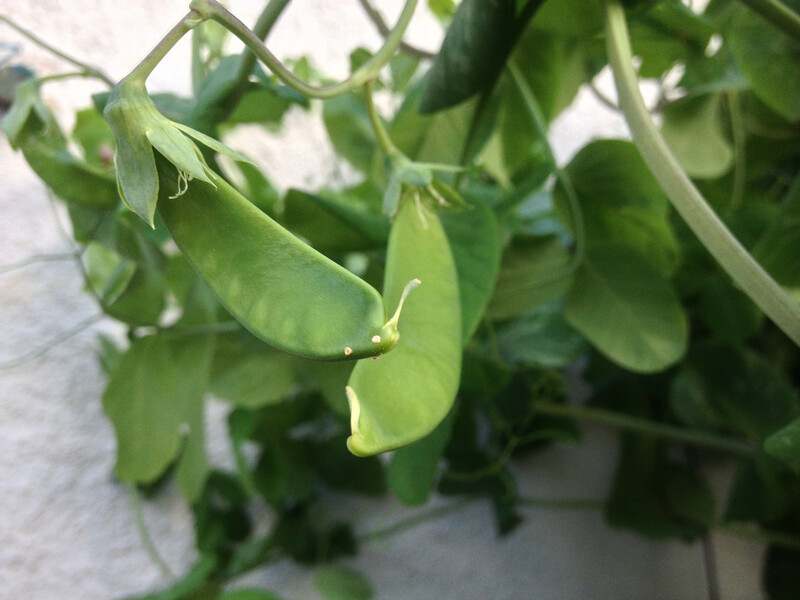 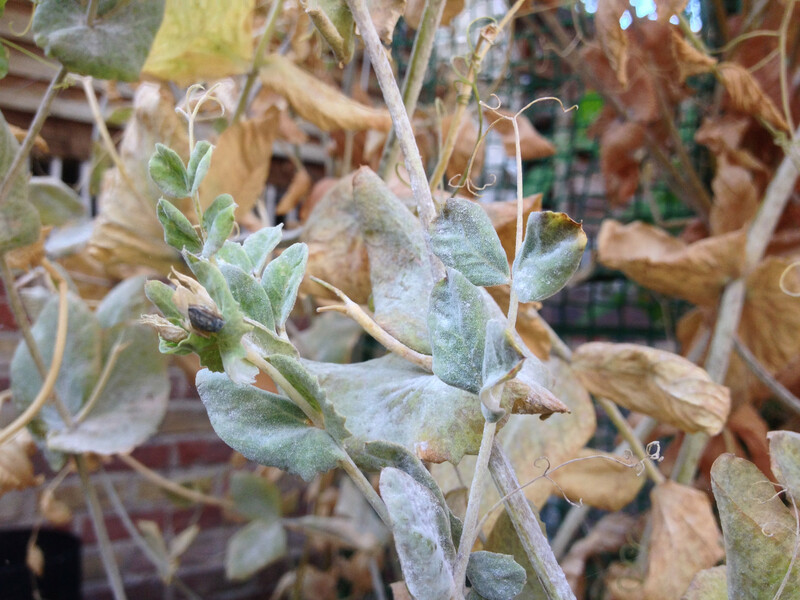 Photos of my mangetout plants, and eventually, of some mangetout. 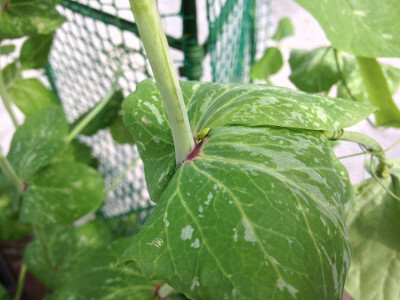 Powdery mildew on Bijou mangetout plant leaves. 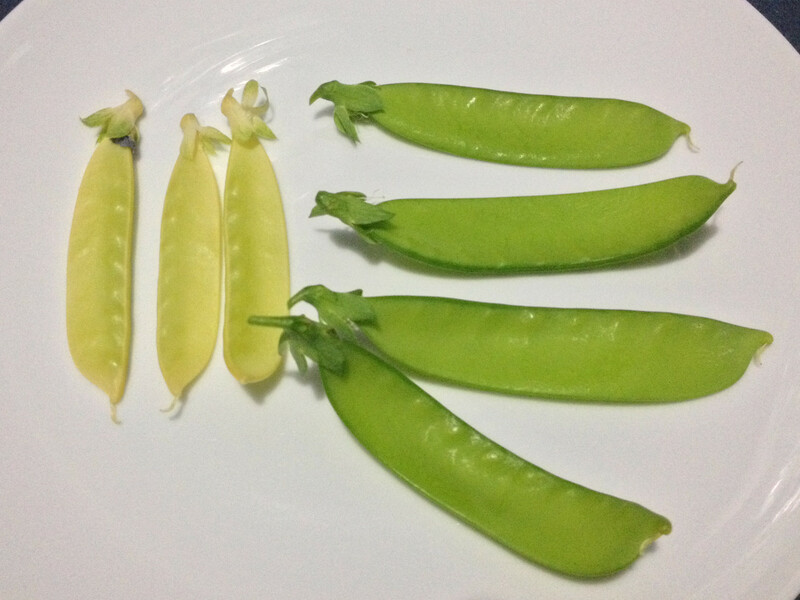 I cleared all the Bijou mangetout plants infected by powdery mildew, but left the few best plants and individually picked off infected leaves. 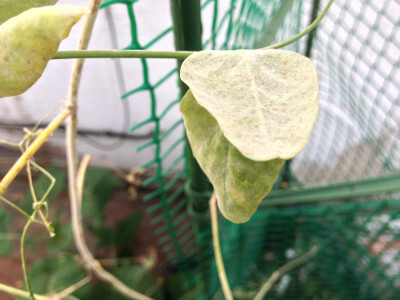 Powdery mildew still and issue. 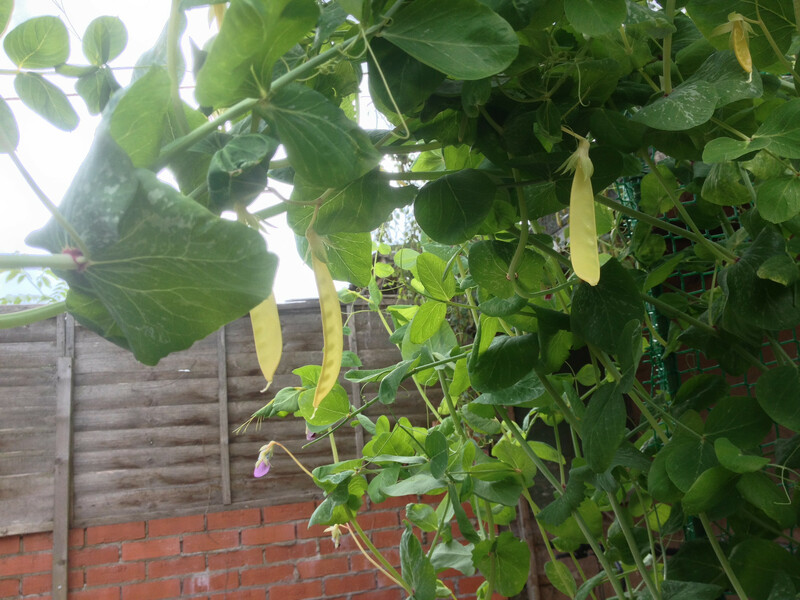 A Golden Sweet mangetout pod that has started to be affected by powdery mildew before it is ready to be picked. 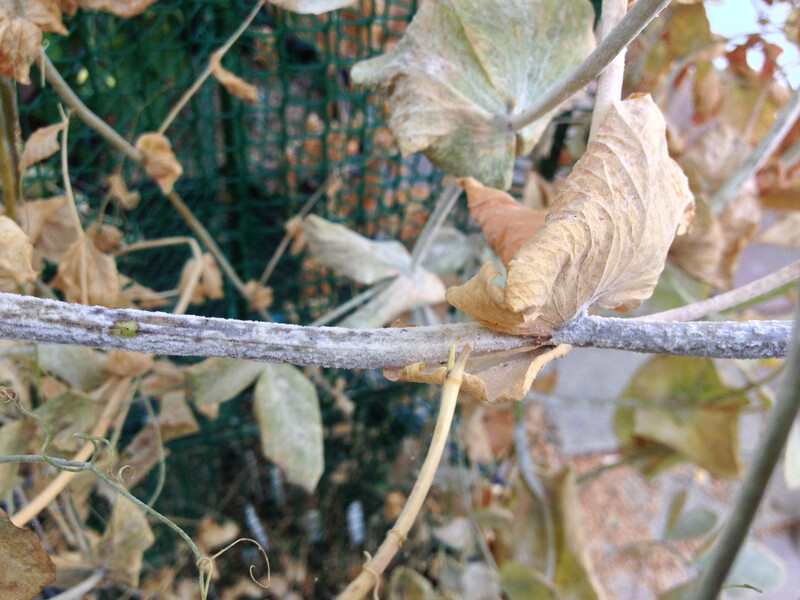 Powdery mildew on a Golden Sweet mangetout plant's main stem. Powdery mildew on some Golden Sweet mangetout plant leaves and stems. 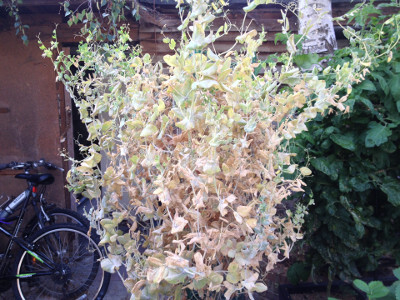 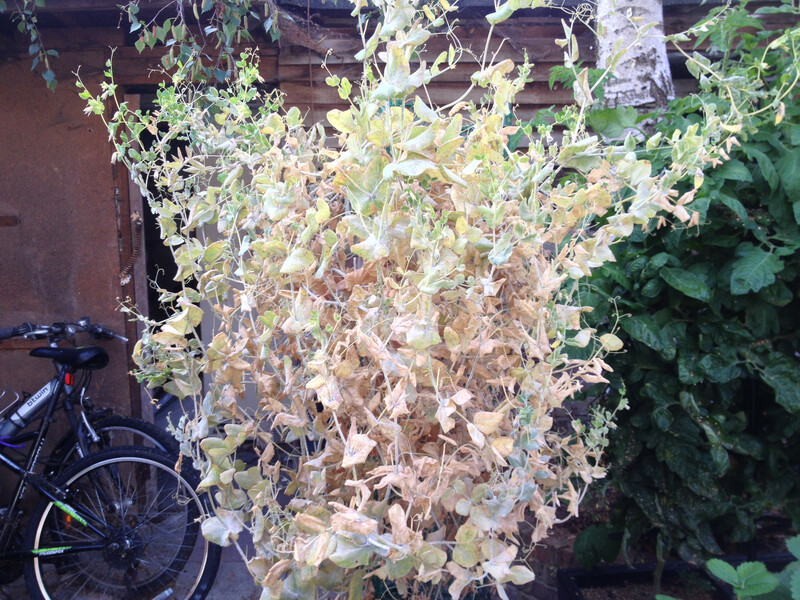 Golden Sweet mangetout plants with powdery mildew. The new growth is getting infected faster than it can grow, so the pods neither reach normal size or look appetising. 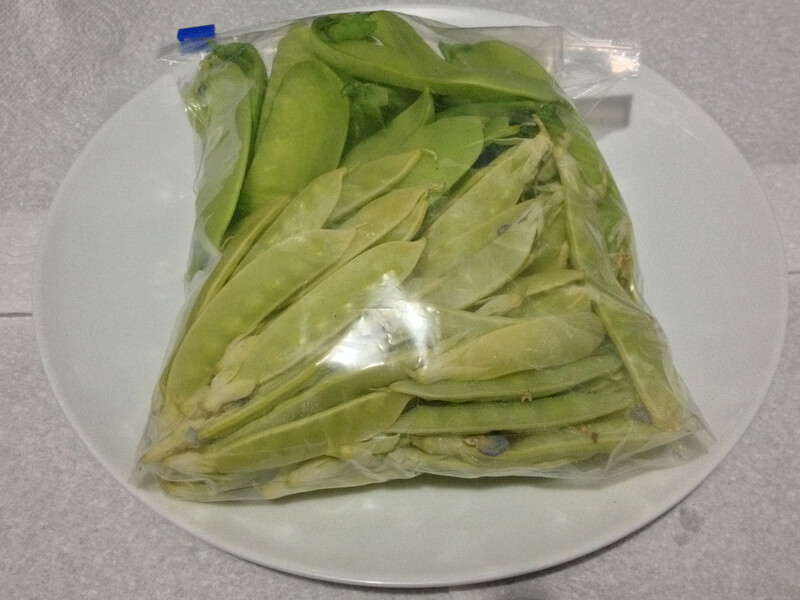 387 grams of Bijou and Golden Sweet mangetout. 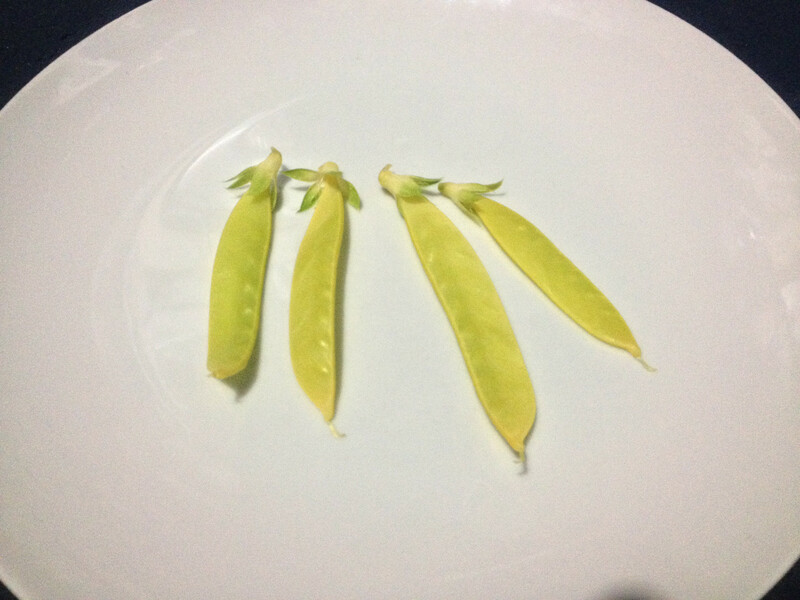 Three Golden Sweet and four Bijou mangetout pods on a white plate. 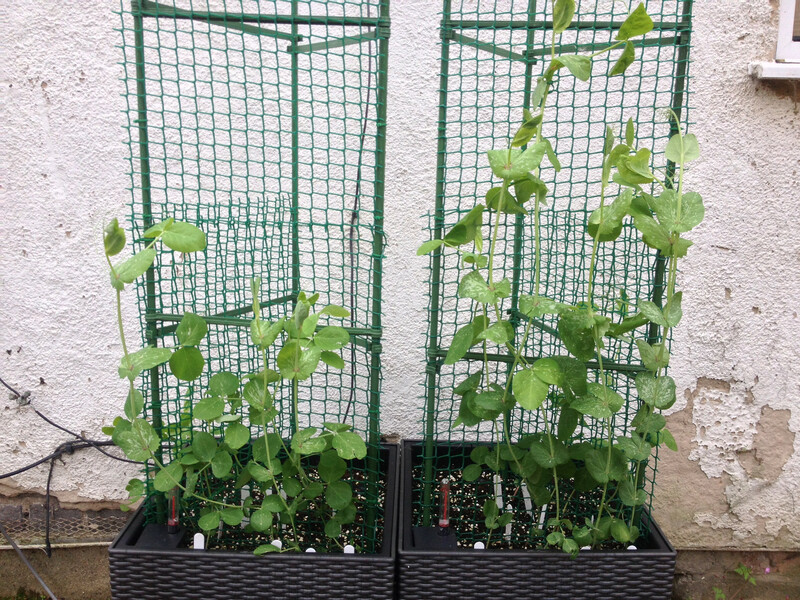 A couple of Bijou mangetout pods growing. 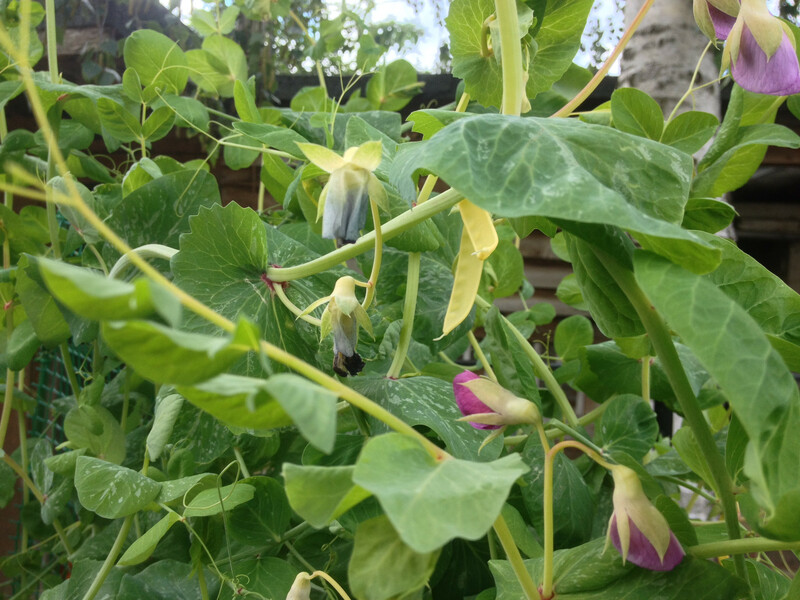 Lots of flowers and Golden Sweet mangetout pods growing. 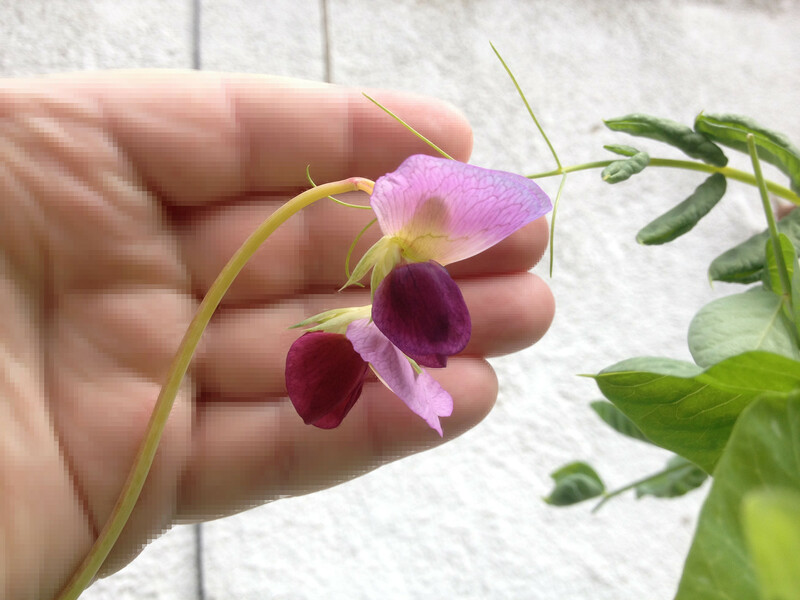 The Bijou mangetout plants have started flowering. Four Golden Sweet mangetout pods on a white plate. The yellow Golden Sweet mangetout pods are easy to spot. 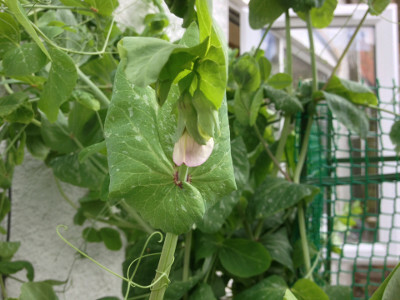 Golden Sweet mangetout plants are flowering and have started producing pods that are ready to be picked. 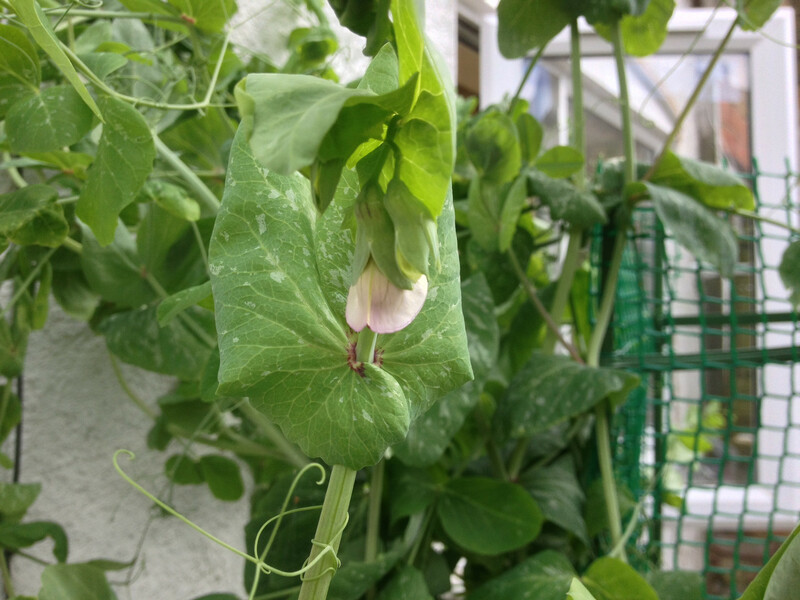 Bijout mangetout plants are starting to flower. 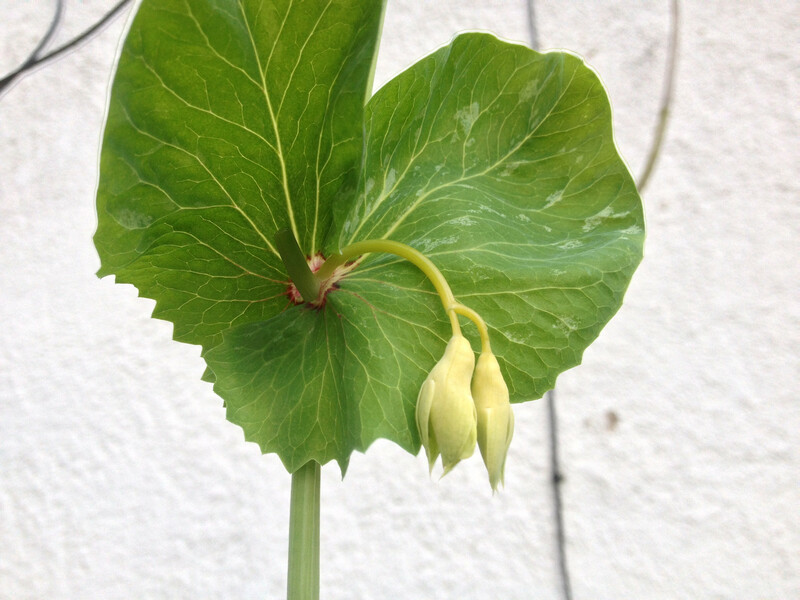 Flowering Golden Sweet mangetout plants have a lot of lateral growth. I need to re-position the planter as they are close to smothering a cherry tomato plant. 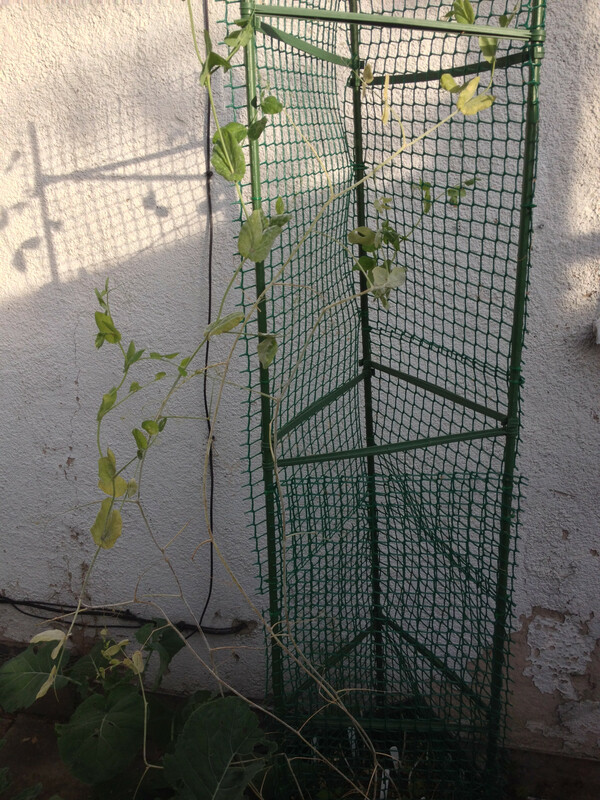 Bijou mangetout plants have so much lateral growth I've had to use the wall to support them. 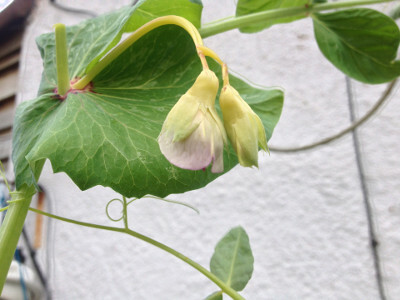 Two blooming Golden Sweet mangetout flowers. Two Golden Sweet mangetout flowers developing at the top node of a plant. 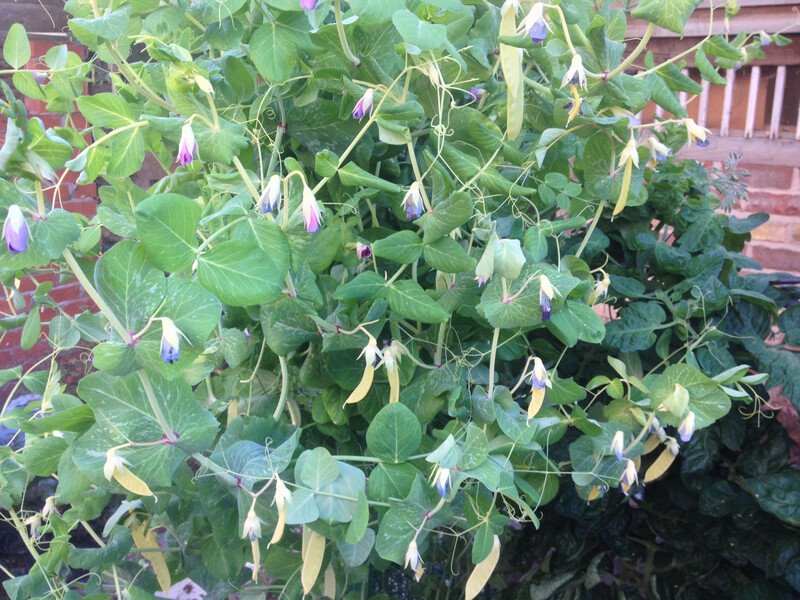 The purple petals are now visible on one of them. 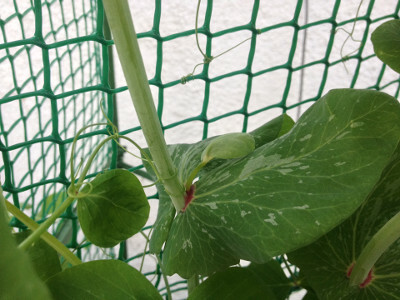 On the closest Bijou mangetout plant you can see the bud from the node at the bottom right of the picture has developed into more leaf growth. 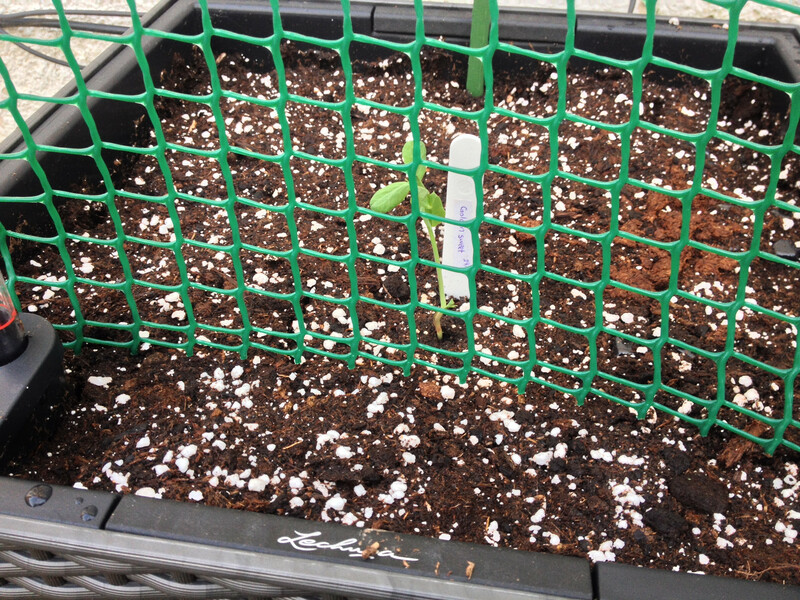 This lateral growth should fill in the plants, eventually hiding more of the mesh. 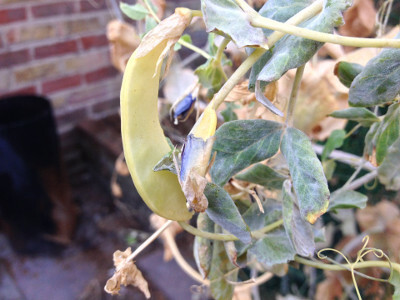 The buds elsewhere on the Golden Sweet mangetout plants are developing into more leaves (centre of picture). Elsewhere in the picture you can see all the tendrils keeping the plants upright. Two Golden Sweet mangetout flowers developing at the top node of a plant. Here you can also see where I opened the folded leaf (it unfolded a couple of days later) and cut off the growing tip, whilst leaving the bud developing at the node intact. 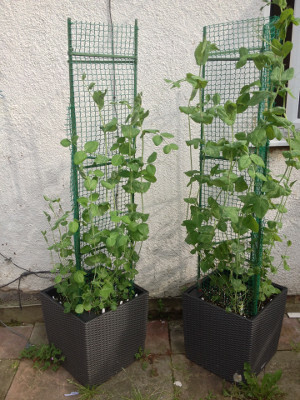 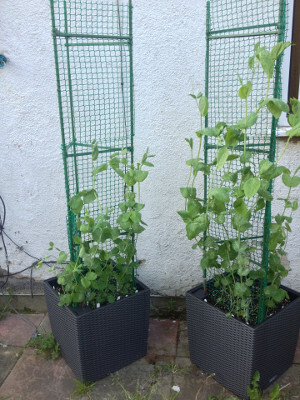 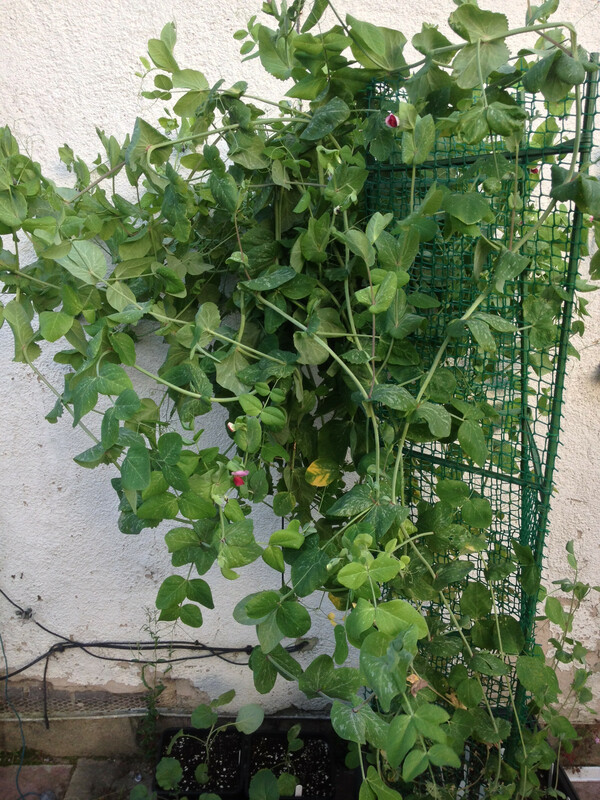 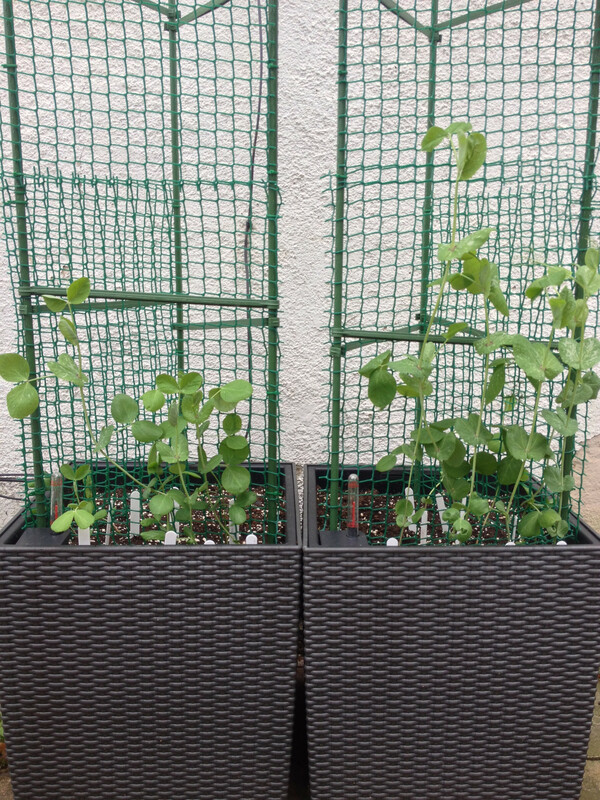 Golden Sweet mangetout (left) and Bijou mangetout (right) are growing well. 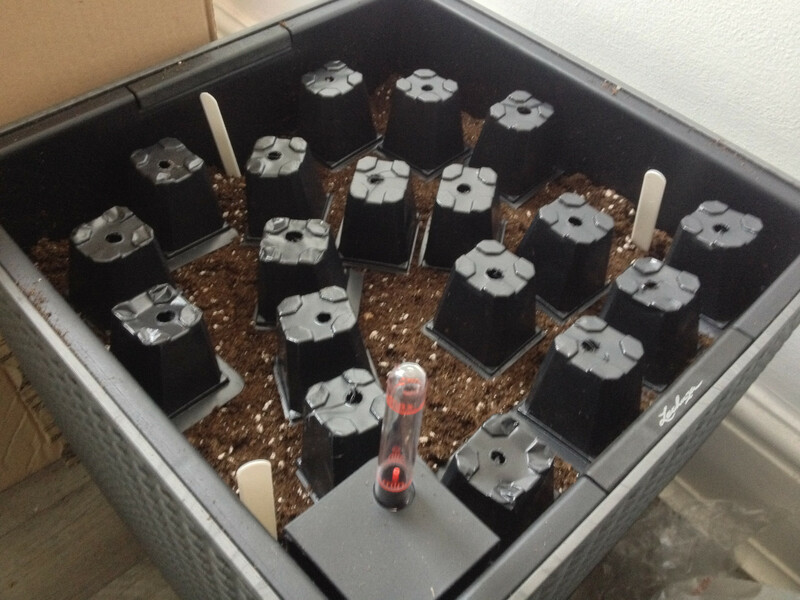 More Golden Sweet plants transplanted (just one plant left to transplant) and the remaining 7 spaces in the Bijou container will be filled after I start the seeds indoors next week. 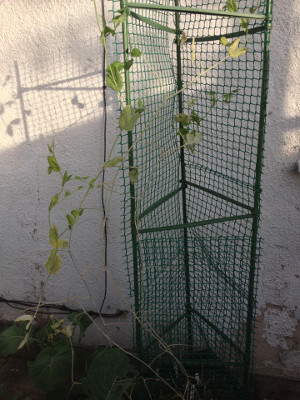 The older plants are now taller than the trellis, and I have decided to cut the growing tips off at the second node above the top of the supports. 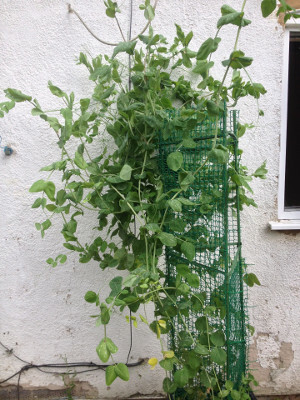 The growing tips of some mangetout plants, and some tendrils not needed for plant support, on a white plate. 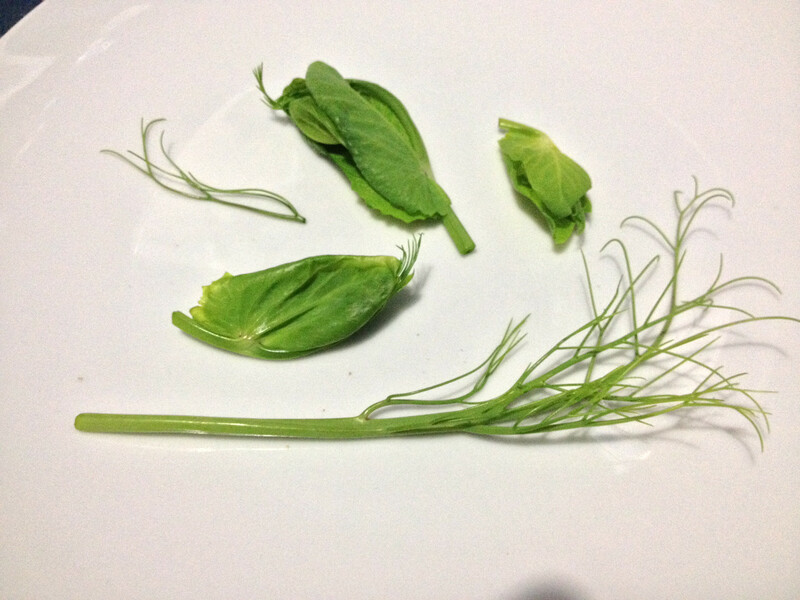 Will be used in a couple of sandwiches tomorrow. A small bud developing between a Bijou mangetout leaf and the stem. I believe this will become multiple flowers, each of which will become a mangetout pod. 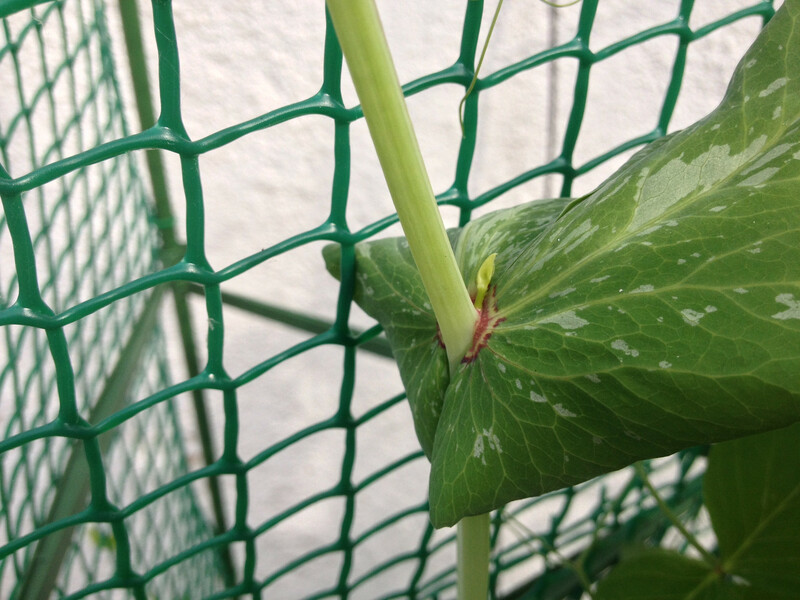 A small bud developing between a Golden Sweet mangetout leaf and the stem. 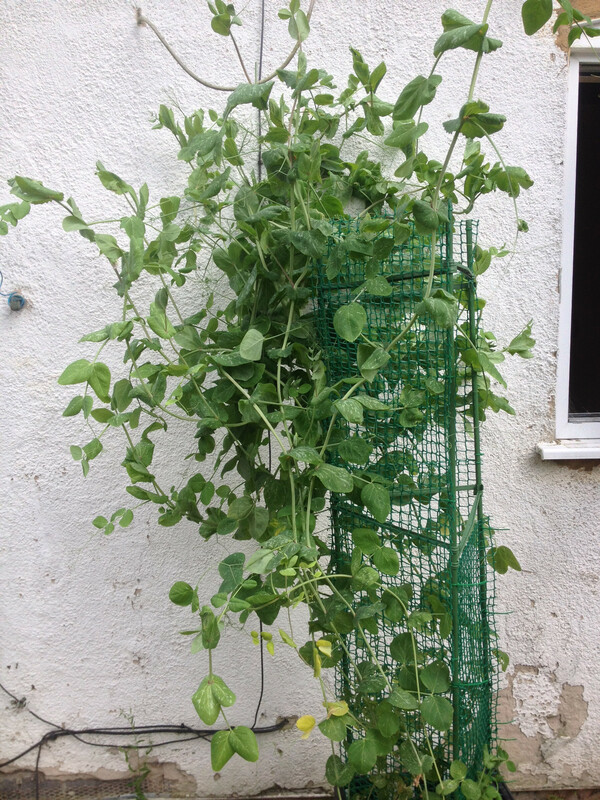 I believe this will become multiple flowers, each of which will become a mangetout pod. 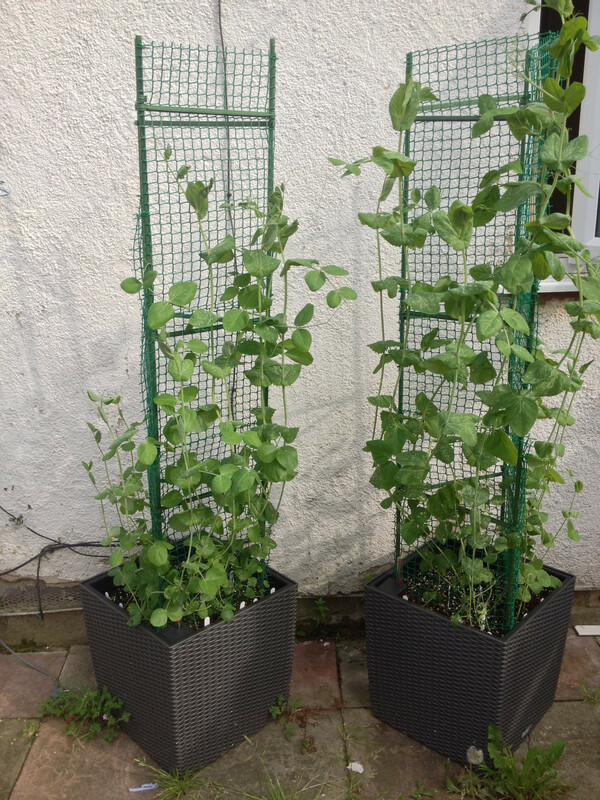 Bijou and Golden Sweet mangetout are growing well. The plant that grew from the first sprouted Bijou seed has reached the top of the trellis. Another Bijou plant suffered basketball damage. Golden Sweet mangetout growing on the left, Bijou mangetout on the right. 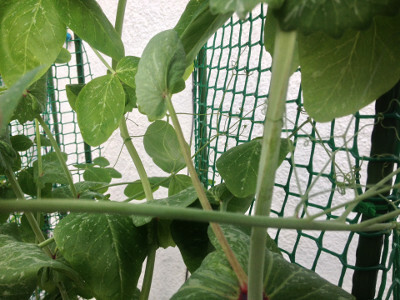 Older plants getting big, and getting their tendrils to latch on to the trellis instead of around each other is a losing battle. 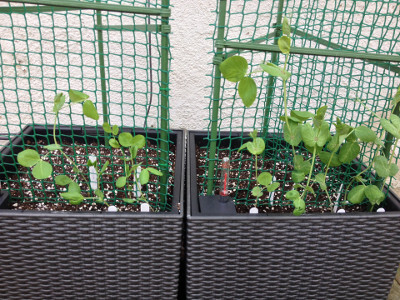 More mangetout seedlings transplanted. 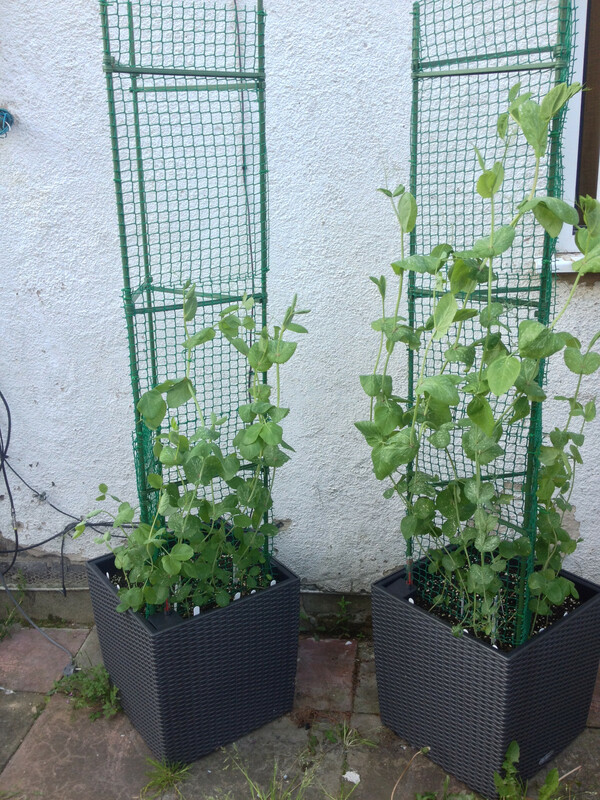 Golden Sweet growing on the left, Bijou on the right. Older plants getting bigger, with the windy weather making it difficult to get them to latch on to the trellis. 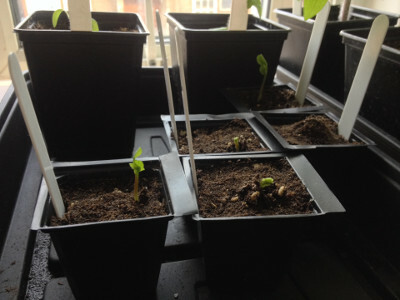 More mangetout seedlings transplanted. 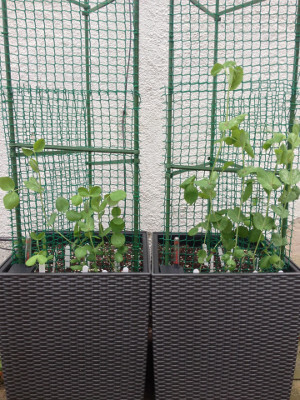 Golden Sweet growing on the left, Bijou on the right. More mangetout transplanted. 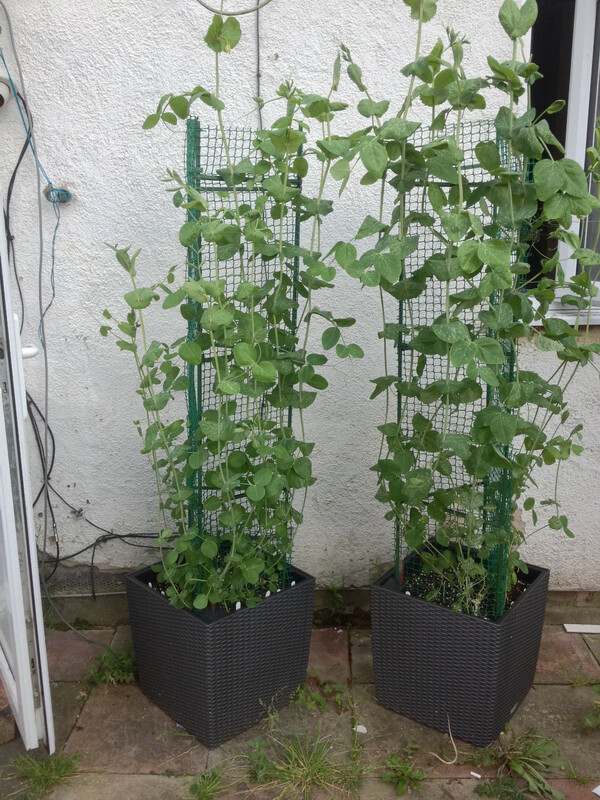 Golden Sweet (left) and Bijou (right) are growing well. Some germinating Bijou and Golden Sweet mangetout seedlings at different stages of germination. 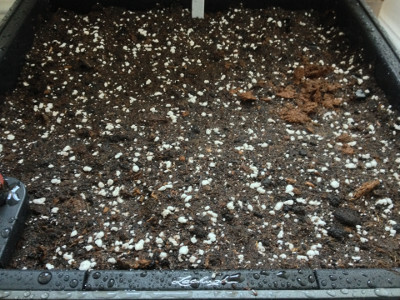 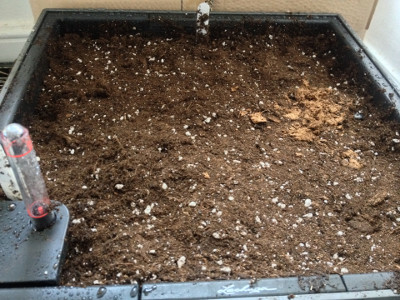 The Bijou mangetout Cube 40 plants are growing, and two new seedlings have been transplanted into it. 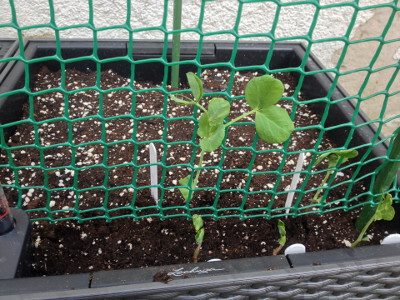 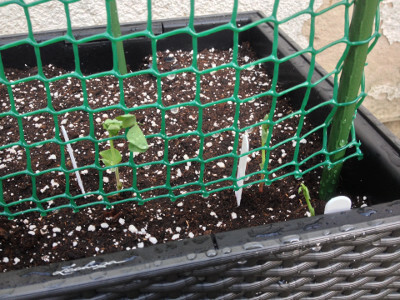 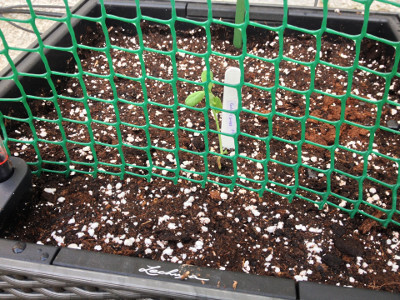 The Lechuza Cube 40 with the Golden Sweet mangetout seedling placed outside, and the tomato cage with mesh placed in the planter. 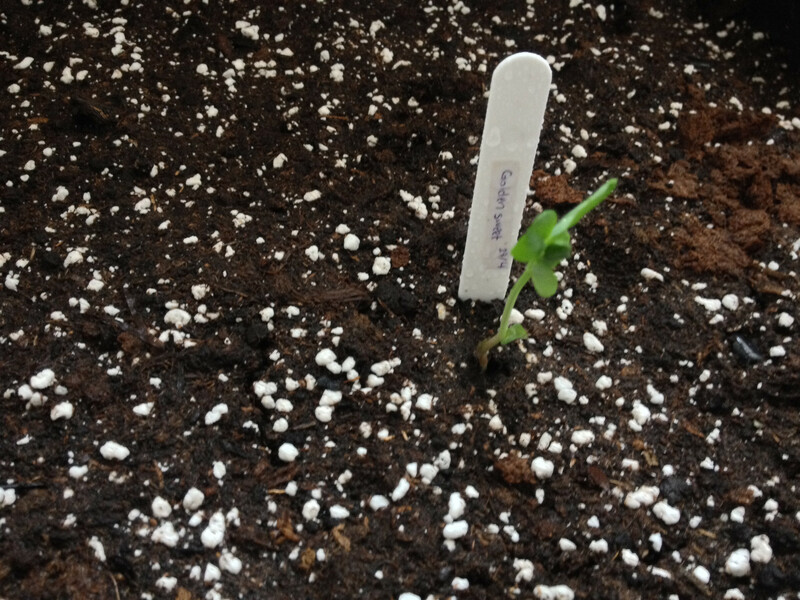 The Golden Sweet mangetout seedling after the soil around it was firmed and the plant label inserted in the soil. 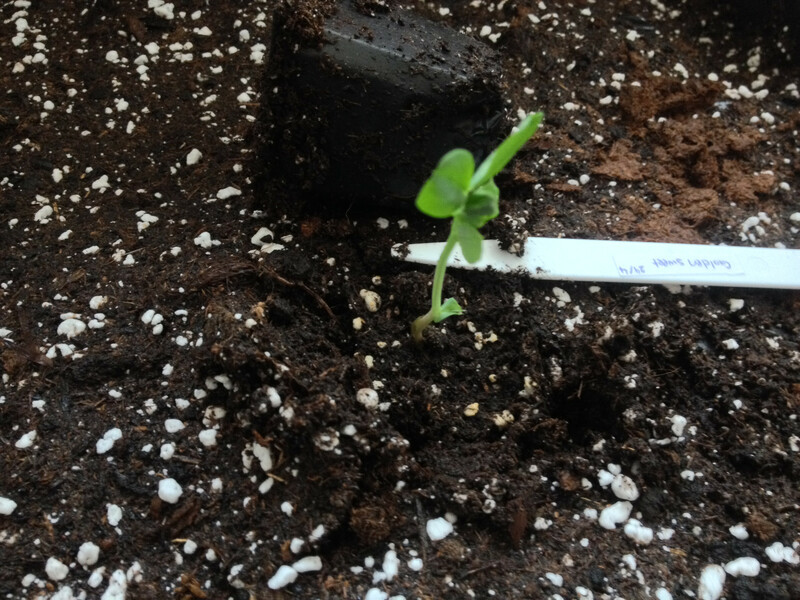 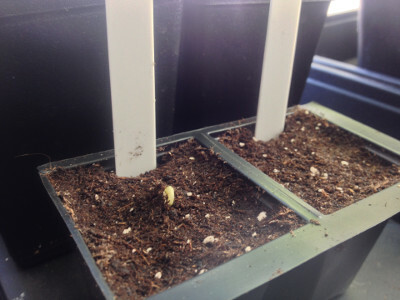 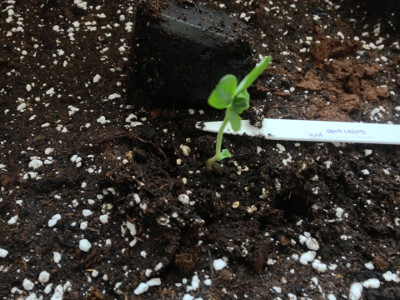 A Golden Sweet mangetout seedling moved from its pot to the container. One of the upturned pots removed from the planter making space for a Golden Sweet mangetout seedling. The planter got a good watering. 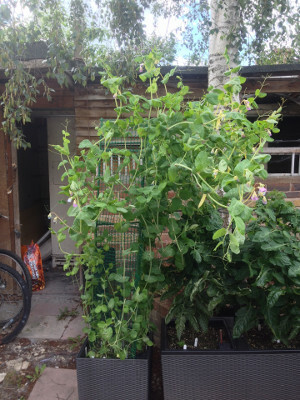 The Lechuza Cottage 40 Cube filled with compost and the upturned pots now hidden. 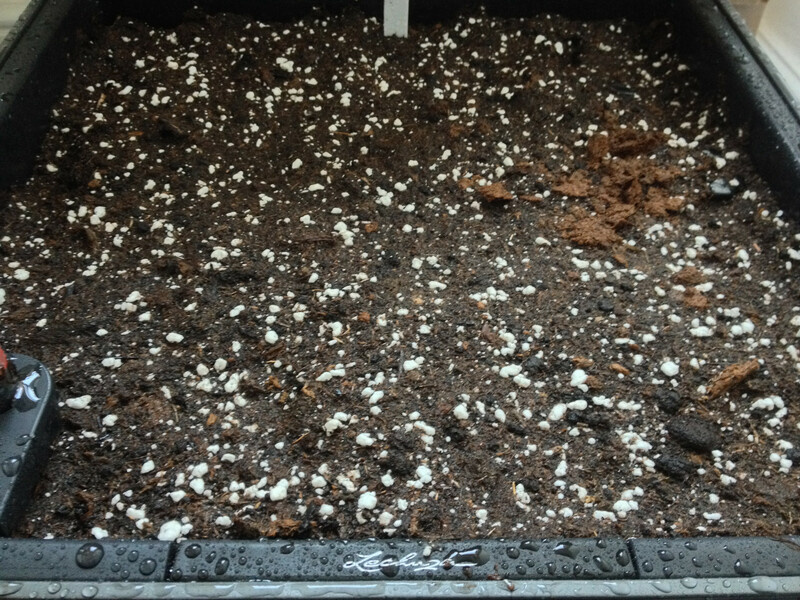 A Lechuza Cottage 40 Cube assembled and mostly filled with compost with some upturned 6 cm pots. 3 Bijou mangetout seedlings planted outside in a container. 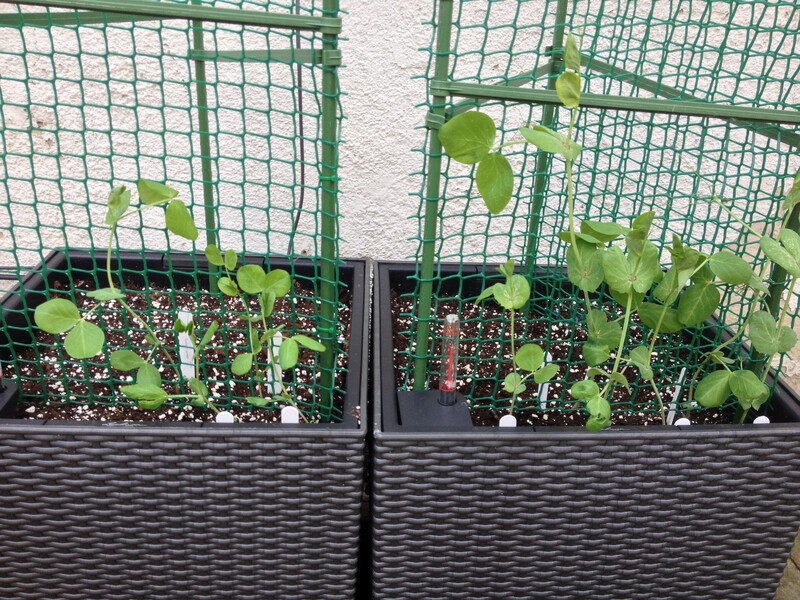 3 Bijou mangetout seedlings (right) and one Golden Sweet mangetout seedling (left). 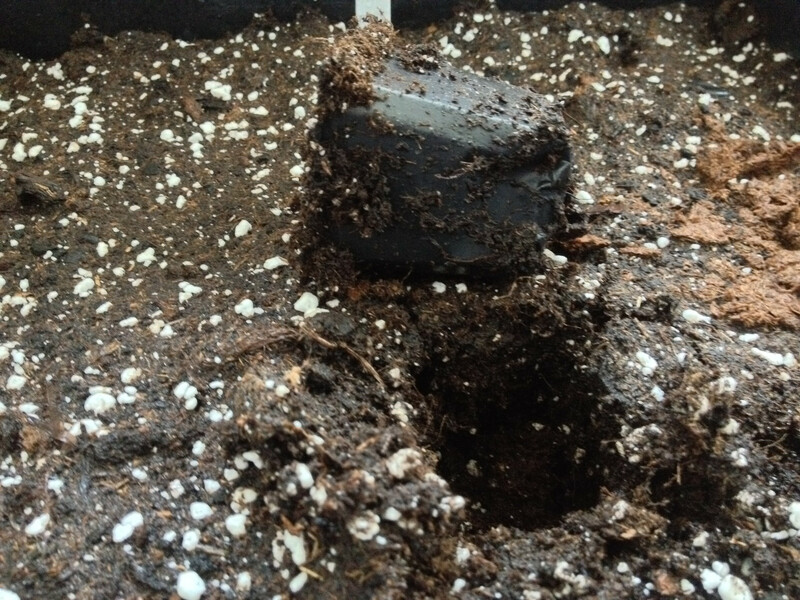 The cotyledon of a Bijou mangetout seed has broken the surface. 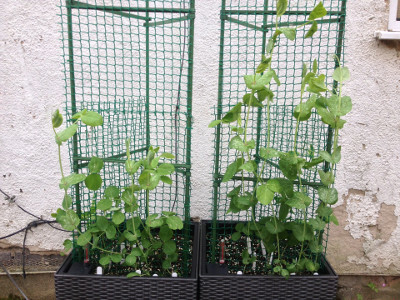 Posted by John Cook on Saturday, 30th April 2016 .